For Intel, 5G represents “a true convergence between computing and communications,” Sandra Rivera, Intel's senior vice president of the network platforms group, told us, noting that the company’s expertise in computing will stand it in good stead in the smart, IoT-connected world. 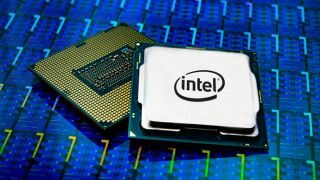 Providing connection speeds of up to 100GB/second, the new hardware will launch in wireless base stations, a market that is entirely new to Intel, but one it hopes to quickly conquer, with Rivera saying that Intel aims to take 40 percent of what is a hugely competitive market by 2022. Rivera promised that Intel would have more to say about its 5G work at Mobile World Congress next month, but it’s clear that the company is determined to make a big impact in the market.